We know a thing or two about the area and stock all the products you’ll need to get outdoors. Conveniently located on the corner of the Stuart & Victoria Highways, with ample parking out back for caravan, campers & motorhomes.  Katherine Camping & Fishing is your one stop shop for all things camping, fishing & outdoors. With a huge range of gear, stocking such brands as Outdoor Connection, OZtrail, Coleman and Companion. As well as leading fishing brands Diawa, Shimano, Abu Garcia and Penn, we will surely have all your camping & fishing needs covered. On top of specialising in camping & fishing, we also have everything you’ll ever need for hunting. From guns & ammunition, to archery and gun safes, our range is one of the largest in the Top End and what we don’t have in store we can order in. We stock a good selection of caravan accessories, toilet chemicals and water filters to keep you on your journey. 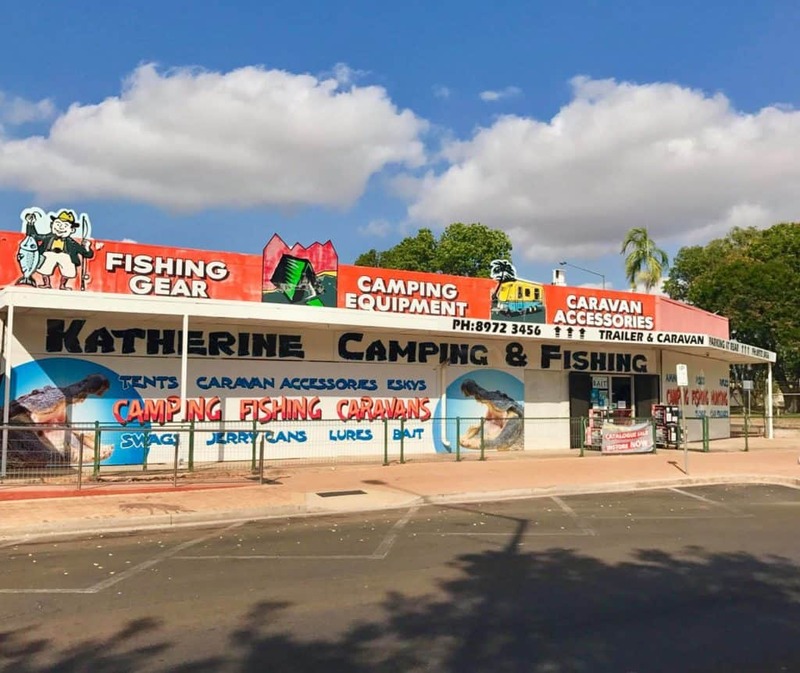 Katherine Camping & Fishing prides itself on providing the best customer service and if we don’t have something you need in stock, we can order it for you. 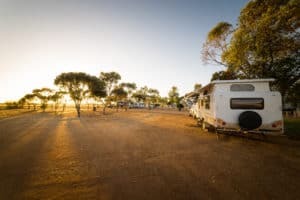 The team at Katherine Camping and Fishing are always friendly and helpful. Their prices are competitive and their service is excellent. They are 100% honest and reliable. These guys are community minded and support good causes. I always feel welcome. Just been into Katherine Camping to purchase a few items for our trip around the NT. We found the staff very knowledgeable and more than happy to help. Nothing was too much trouble for them and we would definitely shop there again next time we are in Katherine. As a visitor to NT for fishing we have found Katherine Camping and Fishing to be our shop of choice. Russell and his crew are extremely helpful and courteous and very knowledgeable. As outsiders we feel extremely welcome and can only recommend this store in glowing terms. Super customer service. Not only did they use their tools to fix my problem, they only charged me $2 for the part, and nothing for the better part of an hours work they spent helping me fix the broken thing. Cannot thank these guys enough. Katherine Camping & Fishing is a locally owned & operated business. We live & breath the Top End, and we want to share it with you. We have the local knowledge & experience to help you enjoy the Northern Territory. We can head you off in the right direction and stock you up with what you’ll need. If you have a question, then we will do our best to answer it for you. We want you to have adventures to remember, just like the locals. Come in store for all the caravan and touring gear, plus parts to keep you exploring. 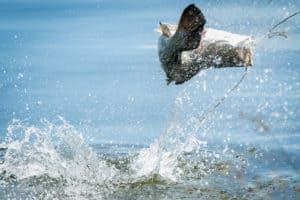 Get into Katherine Camping and Fishing for all the gear you’ll need to get out there for the Million Dollar Fish. We have toilet chemicals and other everyday parts for your caravan.